Willow Grace: Santa will be happier this year: we have a new chimney! 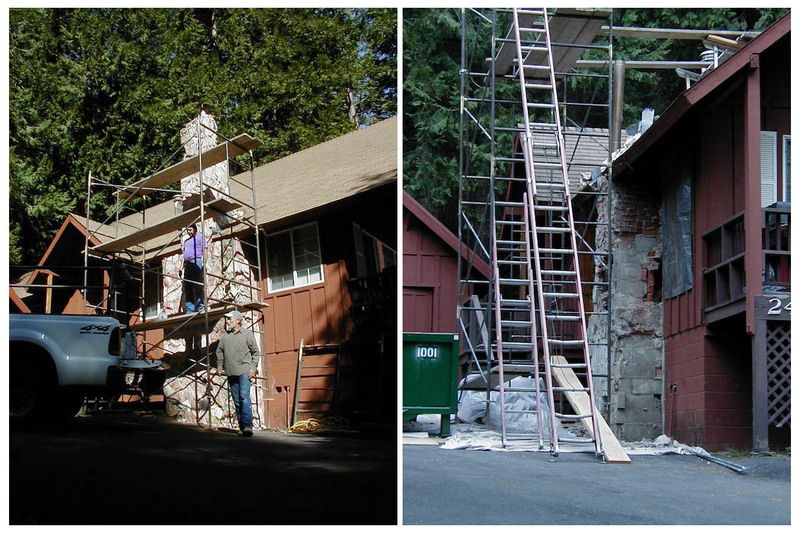 Santa will be happier this year: we have a new chimney! We've just finished our biggest construction project at the hideway. 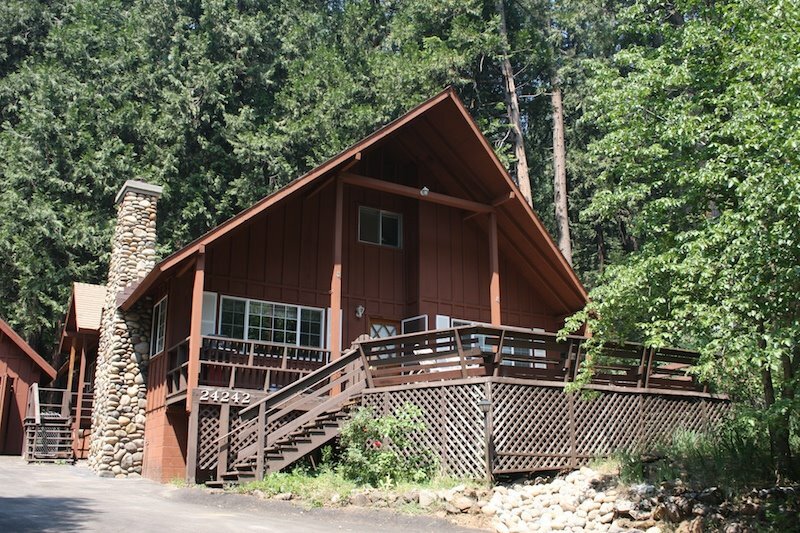 I'm sure this post will be pretty boring to most of my bloggy friends, but I know several family members and friends lurk here so I wanted to share our newest cabin update here. 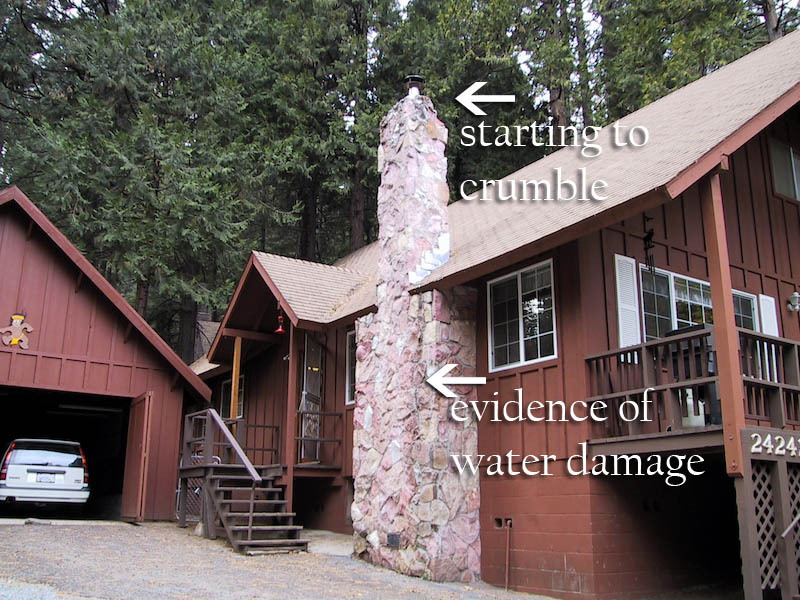 There was already noticeable disrepair when we got the cabin 9 years ago. A few more years passed and more chunks fell off. In fact, in 2005, some friends were visiting and a big piece fell off during the night and fell on their car, busting their bumper. Lesson learned! 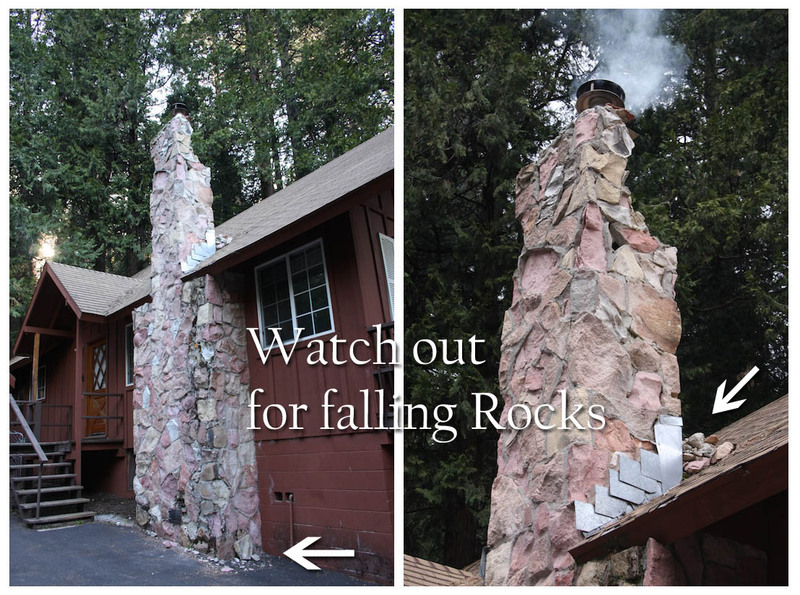 Tell everyone who comes to visit to park far away from the crumbling chimney and don't walk under it! You'd think that incident would have motivated us to fix the chimney asap. Well, we would have but there were a few ducks that needed to get in a row and stars that needed to be aligned first. Jimmy woke up, I told him the story and he filled the hole with this ugly foam to prevent any other rodents (cute or otherwise) from entering our home. the old chimney came down. was taking shape. 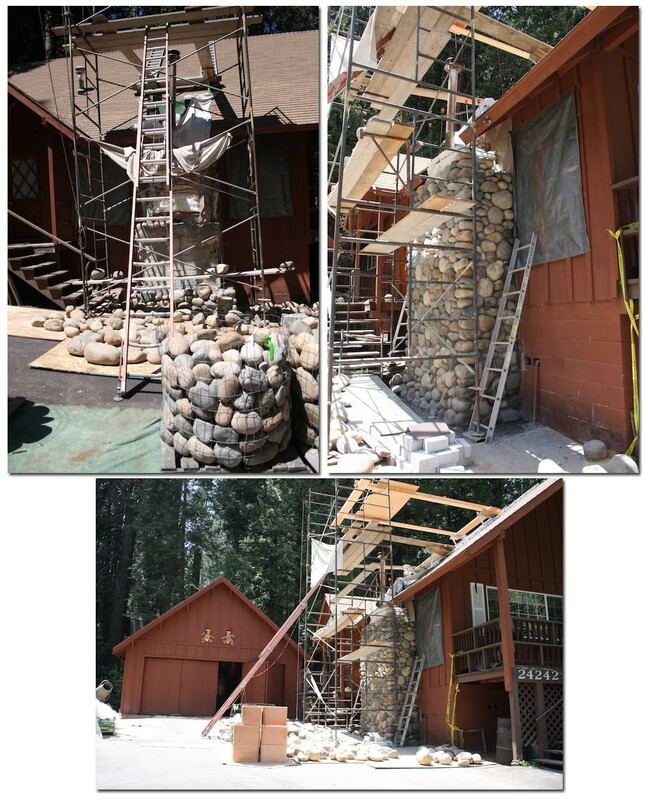 It took 2 semi-truck loads of rock to make this chimney (plus some extra for a wash that we needed filled). But the cool thing about these rocks is that they have a bit of local history behind them. 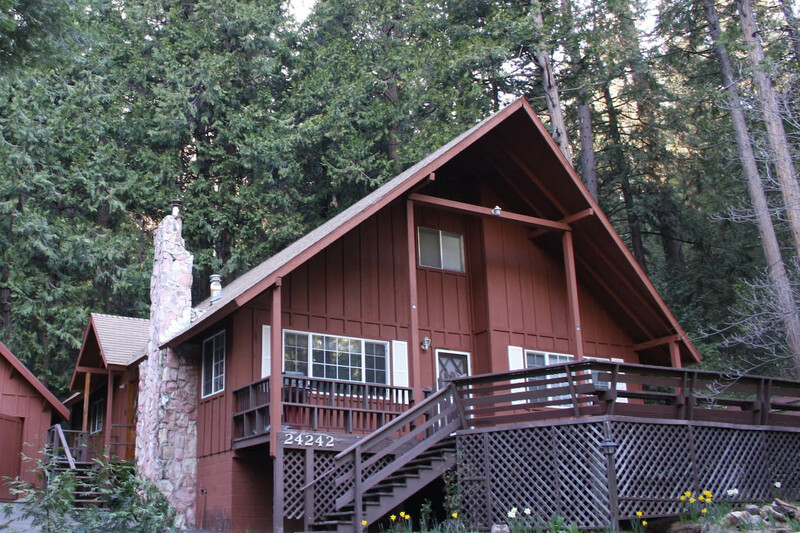 The rocks are from the town of La Grange, a small town in the Sierra Nevada Foothills that was part of California's gold mining history. During the gold rush in the mid 1800s, miners moved millions of rocks from the river beds in an effort to strike it rich. These displaced rocks ended up in massive piles throughout the foothills and are still there today. 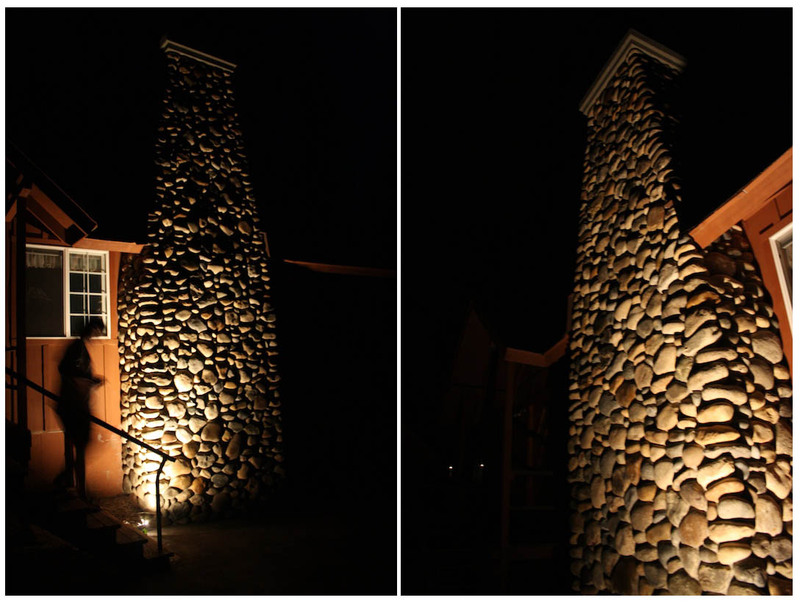 So our chimney has a bit of local history behind it: the rocks came from over 150 years ago during the gold rush era. Now, I have to say, that I think the contractor who did this is an artist. We could tell by talking to him throughout this project that he was passionate about his work. He wasn't there to just slap on a chimney, he contemplated each rock that went into each groove. He spread the rocks out across the driveway and looked at each piece and how it would fit into the design. He would loosely place 3 rows of rocks on to make sure they fit right, then take them all down again before mortaring them in. Talk about labor intensive: put 'em on, re-arrange, take 'em off, mortar them back in one by one. By the way, some of those rocks weighed over 40 pounds each. Most of them weighed over 15 pounds. And thankfully we think it's a masterpiece! We can see the attention to detail that he put into it. The flatter rocks on the outside corners that subtly line the whole thing. Very little mortar shows. It beautifully tapers to the top. 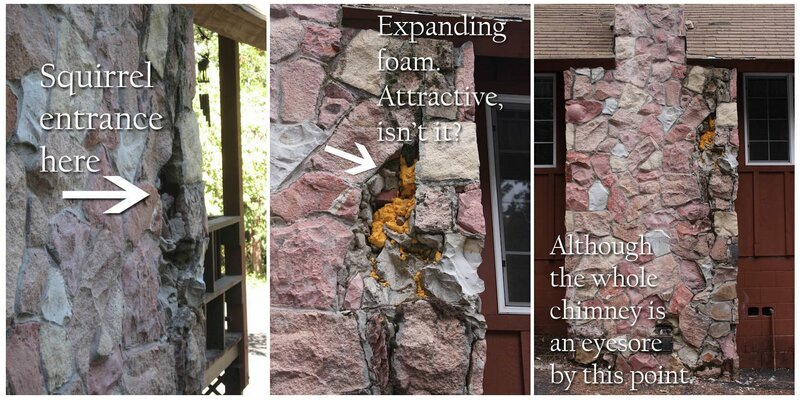 And that amazing cement cap that tops it off. Gorgeous! and we're tempted to burst into a glorious song of "Alleluia"! So Santa should be happier coming down this chimney this year! He won't have to worry about loose rocks bonking him on the head on his way down. Not to mention friends being able to park or walk underneath it. That's a Chimney to be proud of!!! It definitely deserves a capital C. I hope that when (if) I come to the SF area I'll be invited to The Hideaway just so I can see the Chimney in person. 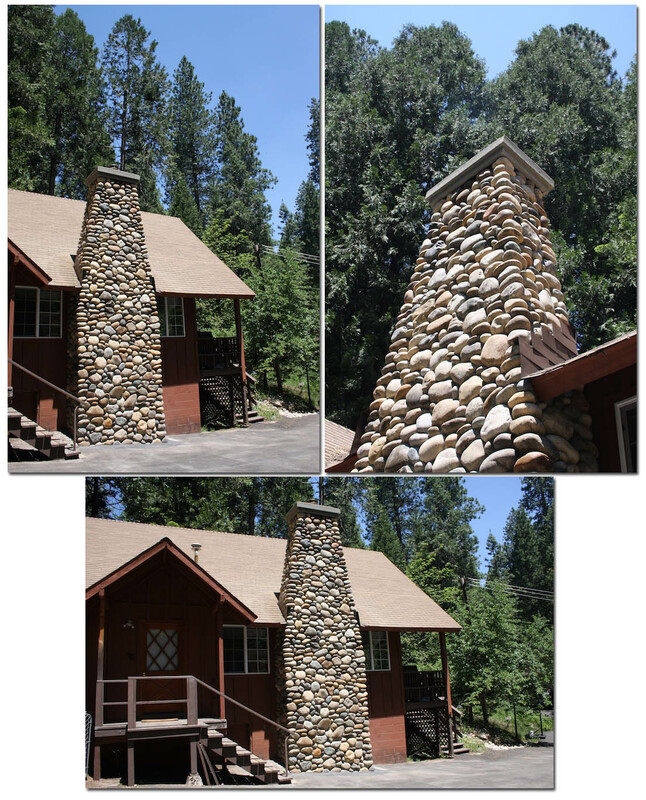 wow, that is a beautiful chimney, a piece of art! i love the idea about a wrap around deck, that would be awesome! and to have lighting put up shining up the chimney? FANTASTIC!!! i cannot wait to see what you do, meanwhile can't wait to see the new chimney in person! Oh my goodness..what a beautiful home!!! That chimney looks absolutely amazing!!! So pretty and I love the stone. Santa will be pleased. It really, really is beautiful! Even from the pictures you can tell it is very well made. Good choice! CONGRATULATIONS! Wow. That was quite the undertaking, Mad. You deserve to be thrilled...and proud! I love it to hear about craftsmen still being around in this day and age!